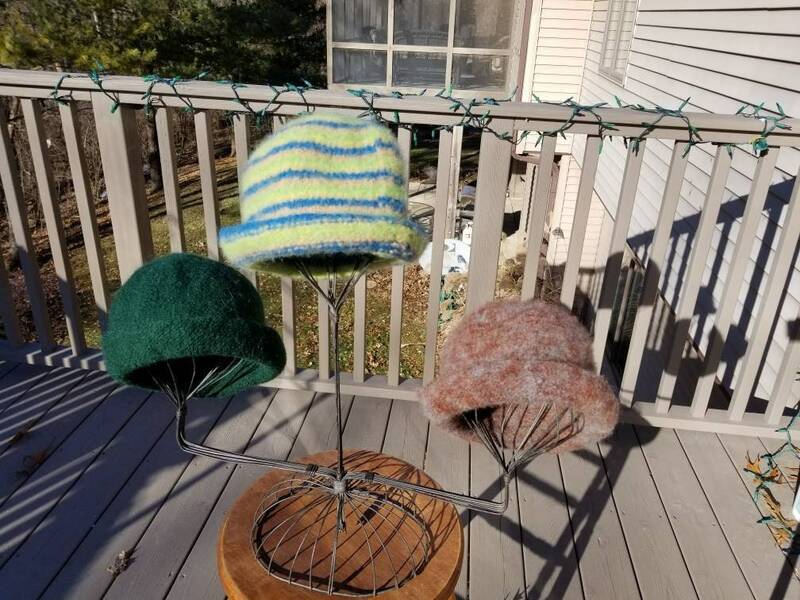 These knitted felted wool hats are made out of high quality wool yarn. They are approximately 22 inches in circumference. Some may run a bit small, but will stretch. I have 4 in total. 1. 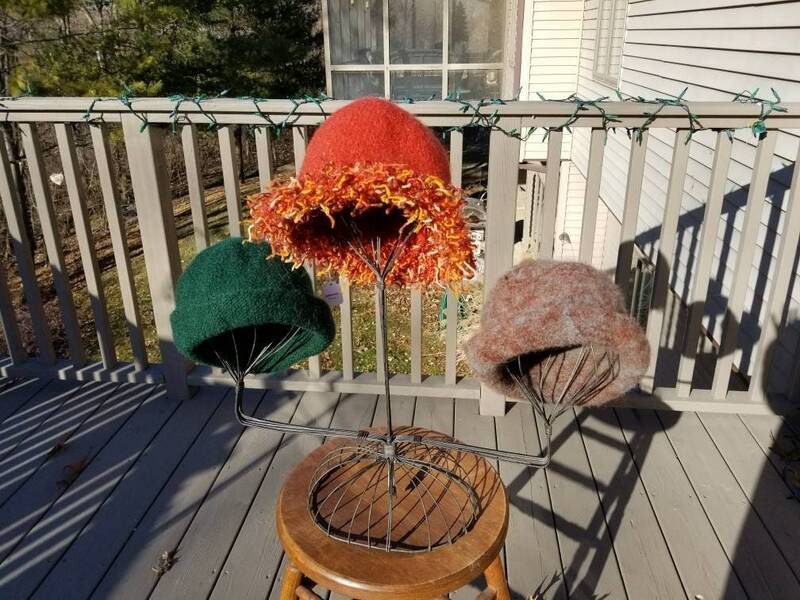 Rust with fringe on brim. This one runs a bit on the large side. 2. Blue/gold/green/yellow striped. 3. Gray/brown marled. 4. Forest green. Please specify the color you want.